Penultimate Serie B championship day decisive for promotions. Celebrate the conquest of the series A: Luserna, Sudtirol and Vittorio Veneto that are added to the newly promoted Acese. Still everything to be decided in the play-out area. A super Luserna beats the Alexandria for 3 to 1 within the walls and supports the promotion, which escaped the photo finish in the last season against Cuneo. The usual Moretti opens the markings. 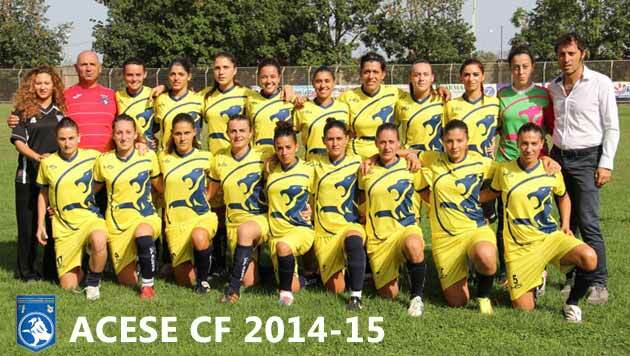 In the second half is the fantasist Annalisa Favole, well back at the races after a bad accident, to put the seal of the promotion, materialized by the third network scored by Maura Bruno that burns every dream of hope to the excellent Alba, winning in the land of Sardinia . The goal of Amato at 85 does not worry the manager who administers and, finally, celebrates the series A.
promotion has arrived with three shifts in advance. An amazing season for the girls of coach Caniglia who have collected well 21 wins and 2 draws (Roma and Nebrodi) with 80 goals scored and only 8 suffered. 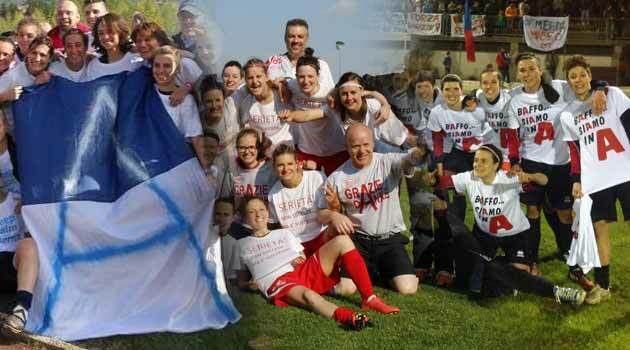 A training built to win and win the promotion, strong of a mix of experienced athletes like Gioia Masia, Daniela Di Bari and Roberta Giuliano (9), young promises like Agata Sciacca, Giorgia Foti and Giulia Risina, the jolly Settecasi and the fantasist Jenny Piro in support of the deadly attack composed by Bassano (9), Martinovic (14) and Privitera, at the time capocanniere with 33 nets, which gave life to a winning ride and spettacolare which has put the strong group of competitors well prepared for the fight against promotion on the ropes. Un round, that of the South, which every year becomes more and more competitive, formed by ambitious and aggressive teams that give prestige to the leaders: Catania, Lazio, Domina, Ludos, Naples, Chieti and lastly the main antagonist Rome have had to surrender in front to the battleship Acese that toasts the promotion with undisputed merit and many applause.